Nicoletta’s Table is a wonderful, friendly restaurant where it seems that “everyone knows your name”. I love the seafood, the salads, the coffee, and the wine selection. My favorite lunch lately has been a butternut squash salad with grilled chicken and a glass of Bastianich Adriatico Pinot Gris. I especially love the friendly staff including a warm Gallic greeting from Patrick (pictured above). A well-known figure in the Lake Oswego food scene, Patrick has a large following and brings a special “je ne sais quoi” to the restaurant. 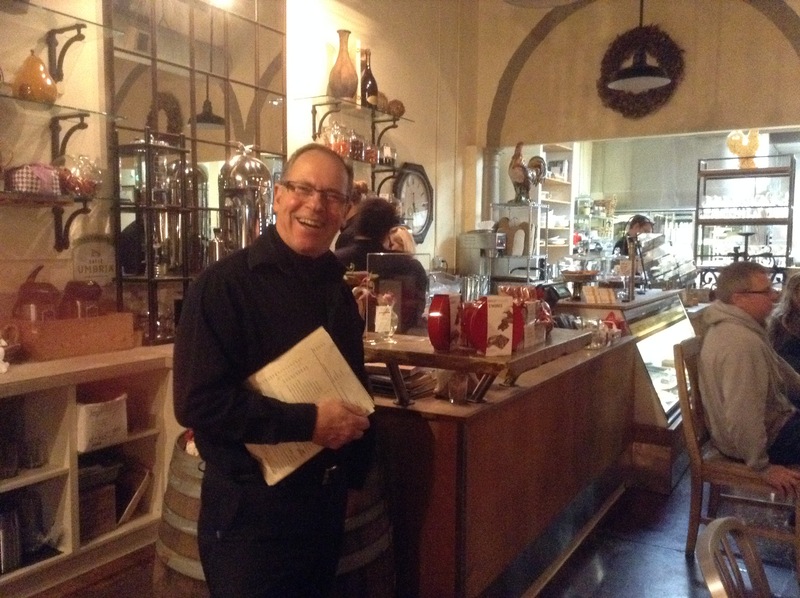 Of course, the owner Shari Newman with her love of Italy and warm personality has created a special neighborhood place that makes everyone feel welcome at the table- in this case, Nicoletta’s Table. The recent expansion is a testament to how popular Nicoletta’s Table has become! Call for reservations. If the restaurant is full, you can always treat yourself to something from the deli or marketplace. 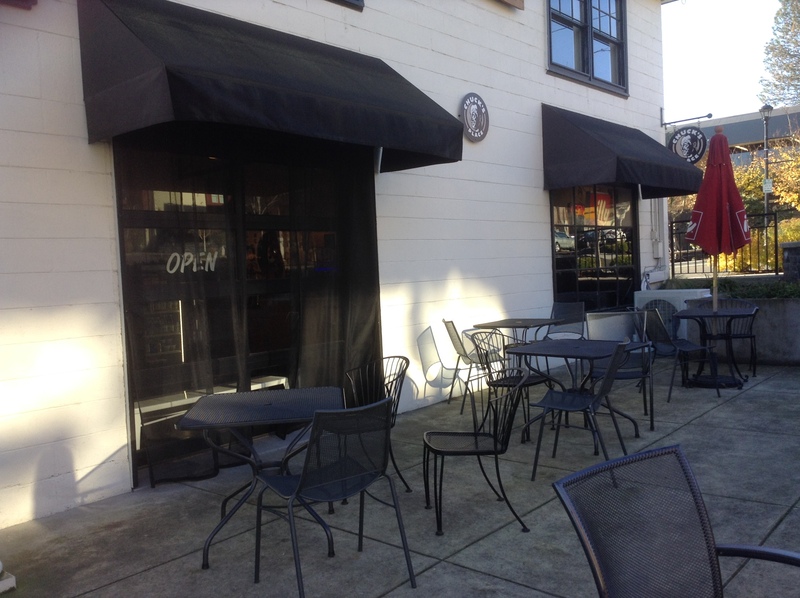 The French Quarter in Lake Oswego! 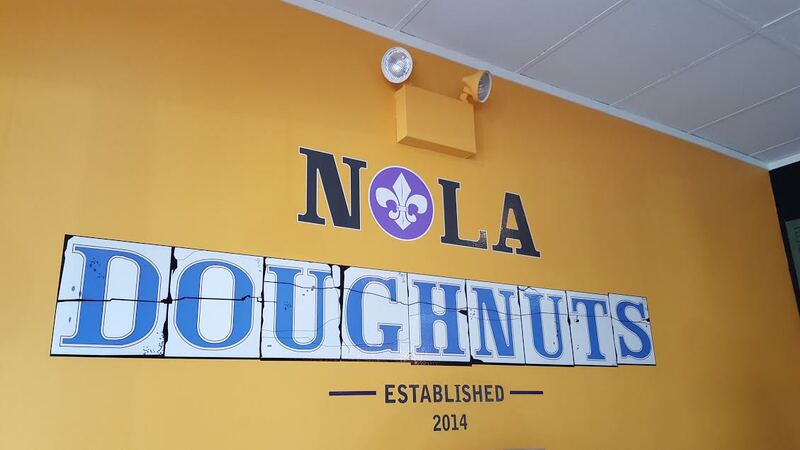 A newcomer to Lake Oswego and making a big splash is NOLA Doughnuts with their light, killer beignets and chicory coffee. Add the jazz, cheerful, friendly staff and NOLA embodies the spirit of New Orleans. You just want to stay all day! I was captivated by the ambiance as I enjoyed two beignets with oodles of powdered sugar and a cafe au lait. The funny thing is that I planned to eat one beignet and take the others home. Silly me! In addition to their beignets, there are gourmet doughnuts, fritters and bites—all of which are light and so tasty! My week would not be complete without a stop at St. Honore’s Bakery on Millennium Plaza for delicious cereal bread, cafe au lait and the occasional croissant. Sam and her team work hard to deliver incredibly delicious savory and sweet baked goods as well as salads, soups and sandwiches. When traveling, I order a Jambon Parisien to take on the plane. I am the envy of the other passengers when I unwrap this crusty baguette with Black Forest ham, Emmental cheese, lettuce and a cornichon. When home, after a long day, I head to St. Honore to relax and recharge. If the weather is nice, I join the others sitting outside enjoying the sunshine and a view of the lake. People watching is also fun. Sunday mornings are especially fun for a visit to St. Honore as the bicycle riders, families with kids and tourists converge for a bit of French heaven! I had been living in Lake Oswego a few weeks when a worker at my house told me that I had to go to Chuck’s Place. I was so glad to learn that there was a local coffee shop within walking distance. Later that day I strolled a few blocks down to Chuck’s Place. That was when I met Lisa Ryan one of the owners. Lisa welcomed me warmly to Lake Oswego with a big smile. She insisted on treating me to coffee and a huge, delicious chocolate chip cookie. I still remember how special she made me feel. Later, meeting her husband Chuck, I realized and appreciated what wonderful caring people they are and what a wonderful spot they have created for coffee and community in Lake Oswego. Everyone knows Chuck’s Place! It is a friendly hangout for biking clubs, young mothers with children in tow, business people gathering for meetings and writers balancing solitude with stimulation to keep the Muse awake. I have had many business meetings there as well as coffee with friends. Everyone loves Chuck’s Place. The atmosphere, great coffee and delicious cookies make this a special place to linger. Posted on December 1, 2015 March 7, 2016 by lorigreerPosted in Living EverydayTagged Beignets, Chicory Coffee, Chuck's Place, Dining, Food, Lake Oswego, lifestyle, Nicoletta's Table, NOLA, Public Transportation, restaurants, St. Honore Bakery. Having owned a restaurant, I really liked this post. I’m reading this at 1:16 AM (don’t ask) and now I’m very hungry and so very grateful I don’t live in Lake Oswego. Though if i walked to and then back home, I’d lose the weight gained from eating all these goodies.